Another ongoing series, I didn't like where the story has currently stopped. But from the comments I have seen on MangaHere, the mangaka isn't feeling well enough to carry on with the series. Get well soon Akatsuki Kaori! Moving on now, and I do like where this series is headed. Okobore has a princess as our MC, known as Princess Leticia or The Leftover Princess in her Kingdom. Her title comes from the fact she was given the throne instead of her two older brothers, because if either of them became King, Civil War would follow suit. So, her King father decided that the best way to deal with this problem would be to give Leticia the throne instead. A pretty good idea and an interesting backstory. Well done for making that decision Leticia's dad! Leticia isn't an ordinary princess either. She's a strong-willed person who will do what she can to make people see her as someone different to being the Leftover Princess, and will do what she can to maintain peace during her reign. What's more, rather than leave it to her guards and what not to handle things, she ventures out into the Kingdom to get a feel for the place she is going to rule as Queen someday, and is educated in stuff no man would think a woman should learn, such as reading maps and what not. There's also an interesting addition to her character, which I won't reveal here because it links in with what I'm about to mention. But I can say this; clearly she won't be a damsel in distress in times of trouble. So Okobore already has an interesting and original concept to it, but that's not all. The story also brings in an element of King Arthur which I haven't seen before in a manga. Leticia must recruit 12 or 13 loyal men to be part of her Knights of the Round before her Coronation. From the start she has her eyes on one man to be her Knight, and that's Duke. He's a good looking guy so he may become her love interest as the story progresses, but his nature is different compared to his looks. It's funny how he plays hard to get as Leticia tries to get him to become her Knight, but his reasons make for a valid point I guess. So this task doesn't seem like it will go so smoothly, but it's not the only thing the story focuses on. I can say that a few chapters in there's a really moving scene with these two, and I ship them because of it. Duke can be a gentleman when he wants to be! For one, Leticia must do her duties as the soon-to-be Queen by tending to her people, and must survive all the attempts on her life. Yes, she's not loved by all, and some people aren't liking the King's decision by the looks of it. No matter, Leticia is a strong female character; she won't die so easily. Hopefully. This part of her story is a nice balance to her adventures in seeking out her Knights, bringing in some level of humanity as Leticia must make decisions as a normal person would and not just as Queen. 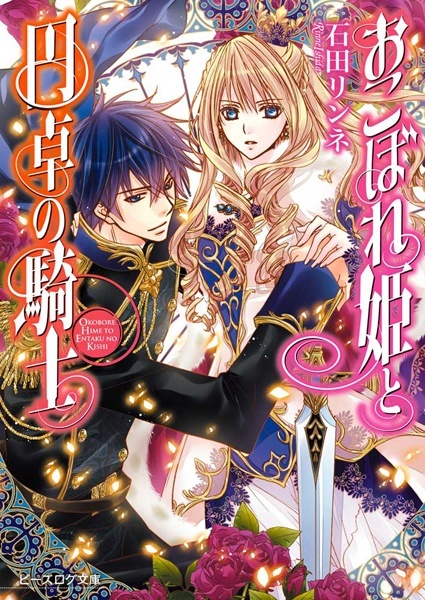 I like where Okobore is going and how multiple storylines and characters are working together to make a really good manga, as well as adding in the humanity aspect of a Royal who must make decisions that will have an impact on their people as well. If it was just about Leticia finding her Knights of the Round, the story would have died early on despite there being new character additions. Having three or four storylines with the introduction of new characters has worked well so far, and I hope that, if the series does continue, it will maintain its level of quality, if not a higher level. I can't wait for the next chapter to be translated, but for now it's time to continue with other ongoing manga I have yet to catch up on!